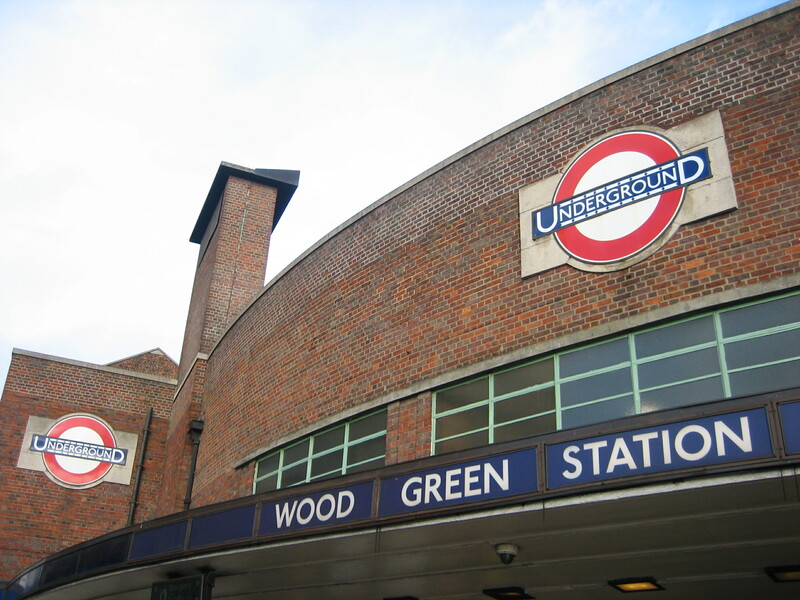 If ever someone decides to ban curves on public transport buildings, Wood Green is done for. It’s a roundel-rama. The station swoops brassily along the junction of the eponymous high road and the wonderfully-named Lordship Lane, throwing more shapes than Su Pollard doing Back in the USSR. Like a momentarily-paused spinning top, it bristles with potential energy. Sunlight bounces off and through its fortress of windows, meaning both the inside and outside share the gleaming spoils. Two ventilation towers act like clamps on this huge, half-eclipsed zoetrope, holding either end in position as if to prevent sudden rotation. It’s as if the revolving restaurant (as once was) atop the BT Tower has spiralled off its perch and landed nonchalantly in the centre of Haringey. If this all sounds a bit fanciful, you’re right. But then that’s what fantastic architecture does to you. Or perhaps more accurately, what fantastic architecture is meant to do to you. 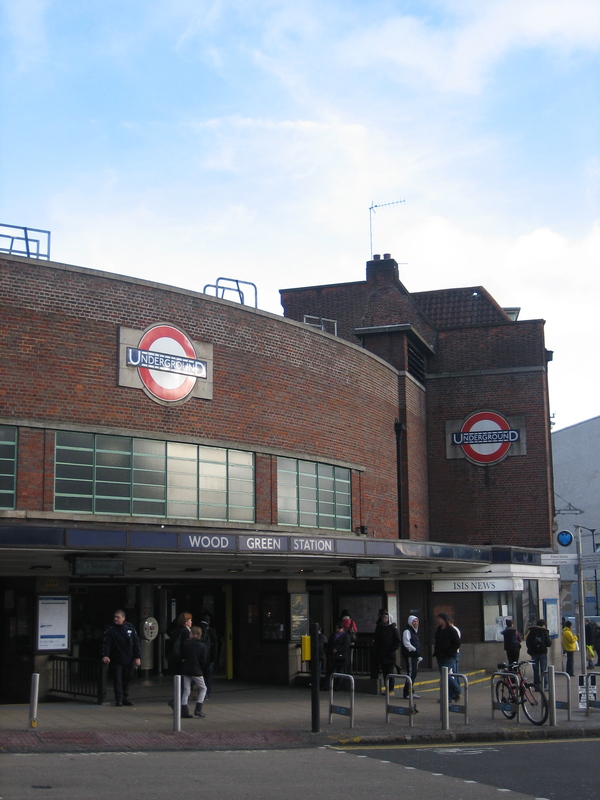 Charles Holden designed this and every station on the Piccadilly line north of Finsbury Park. 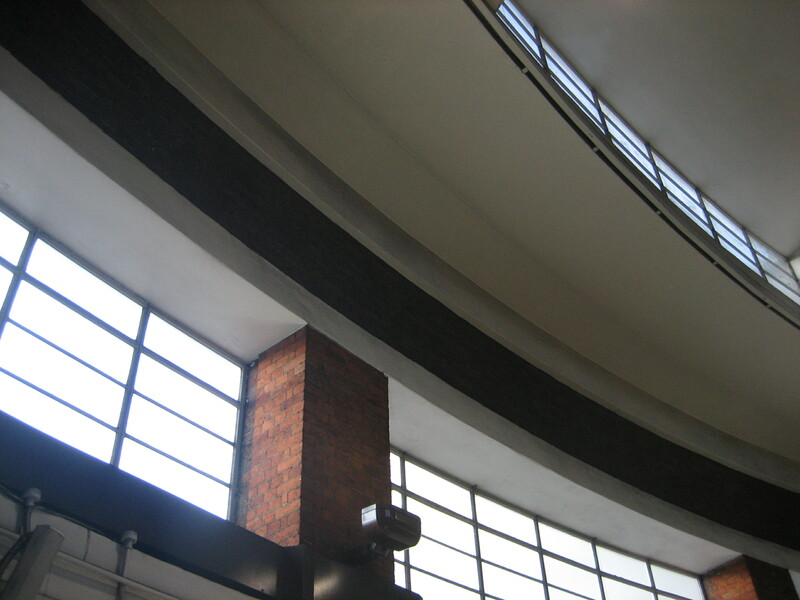 Legend has it that, on receiving the commission from London Transport, Holden charted a small, roundel-shaped private plane and set off from central London towards Cockfosters, laughing with glee and spraying a jet of modernist glitter in his wake. This may not be true. 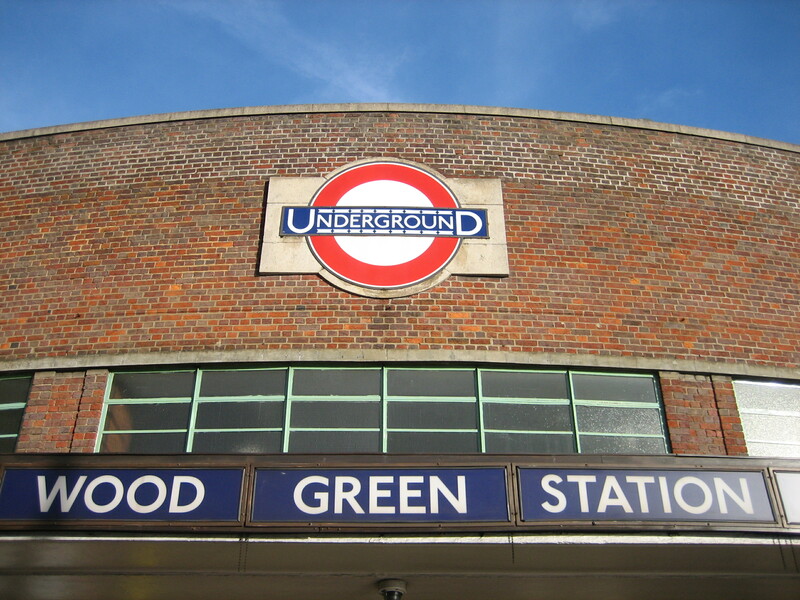 Wood Green was finally given Grade II-listed status in July 2011: a decision that meant every stop from the terminus as Cockfosters down to Turnpike Lane was now protected. That’s seven stations in total. I’m pretty sure you won’t find a similarly sequential concentration of wonder anywhere else in the UK. In that last picture, you have hoodies hanging around outside. Possibly due to the fact they play classical music inside the ticket hall. Funny the effect real music has on certain elements of society!